1. Season 1 is seriously amazing. I forgot just how good that season was. 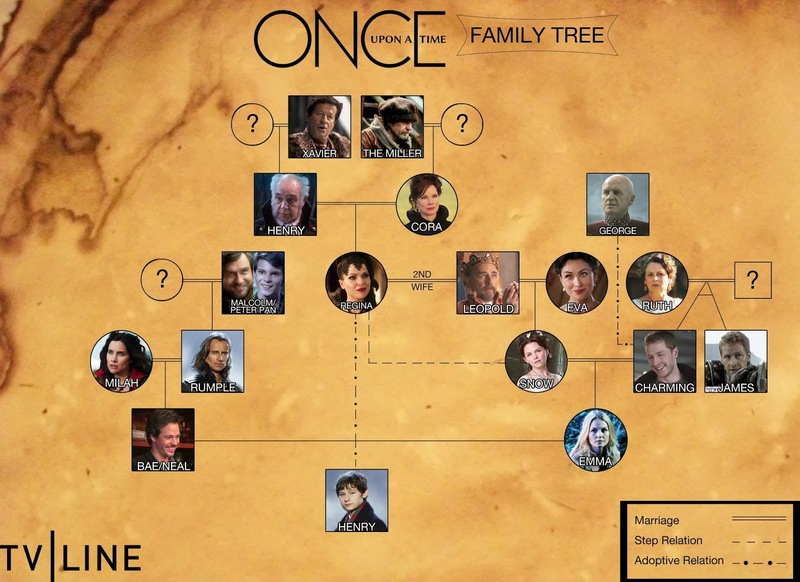 The discovering of who each person from Storybrooke is as a Fairytale character is so fun, and the fact that time starts moving again when Emma Swan comes to stay in town adds to the intrigue. I like the idea of the characters not knowing who they truly are, but at the same time the audience getting to learn their story. I also really enjoyed the backstory of how the curse came to be, and the spins on the classic stories was genius. But with all the good comes the bad, and just like I remember when I first watched the season finale, I was sad that they chose to end the curse so soon. I felt they could have easily gone another season without breaking the curse and telling more backstories on more of the characters. 2. When I was first watching Season 2, I remember it for one not being as good as the first season, and two that the story kind of jumped around. Re-watching Season 2 consecutively helped me to appreciate it more I think. There were some really interesting introductions in Season 2; we got more depth into the characters August (Pinocchio) and Neal (Baelfire). We also learned more about Emma's troubled past and subsequent relinquish of Henry at birth. We also get our first introduction to Peter Pan, or more so his shadow of which we learn is not at all like the fairytale we know. 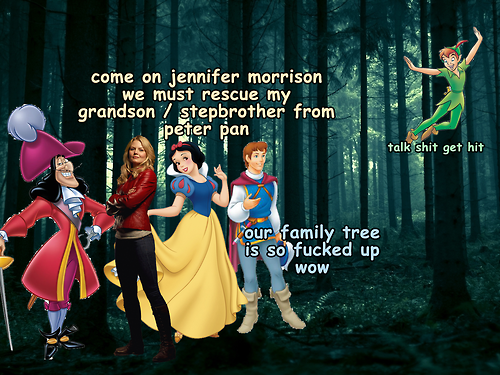 There were moments in the season that were down right boring; like when Emma and Snow were transported to the Enchanted Forest and befriended Aurora and Mulan (two characters I found very uninteresting). The only good that came out of them being there, was the meeting of Captain Hook (yum!). 3. The first half of the Third Season takes us to Neverland to find Henry who was taken there by Pan's minions. I have actually really enjoyed this Third Season. Definitely more than the Second Season. The actor who plays Peter Pan is really good at portraying the devious evil person Pan really is. The twists and turns the story takes while they are in Neverland were very interesting, and now the web of relation between characters is even greater. The mid-season finale left us with Pan re-launching the curse, but this time it takes everyone not from that world back to where they came from and leaving Emma and Henry together, but not remembering anything or anyone. I'm so nervous as to how the rest of the season is going to work out, but I feel it could be a wild ride getting Emma and Henry to believe all over again. A little gem from Tumblr. I highly suggest this show for your viewing pleasure. It's a family show, so the kiddos can watch too, and it's not at all like your typical fairy tales you're used to, so everything is new and exciting. And if you have watched the show, a re-watch is also suggested. Especially Season 1 because it's just that good. I didn't know you watched!! :) I really love this show! And I totally agree with you about Season1!! Season 1 was the best (so good! ), 2 was not (it felt like they were reaching for a story a LOT, so it felt kind of hokey to me. But Hook can totally be my captain! Hahaha. ), and 3 has been interesting but a little slow! I'm excited to see where it goes now that they've finally got out of Neverland! She better pick Hook, or I just might have to quit watching! :) Love ya! I didn't know you watched either! I love the show too, even with it's flaws haha. Hook is seriously delicious and we can share him ;) She might pick Hook now that she has no idea what he's done in the past. We shall see, although it would be weird for her to date her son's sudo-step grandfather... hahaha Love ya too!